2005 was the year of Hurricane Katrina, the 7/7 bombings, the threat of a bird flu pandemic from Asia and Tony Blair winning a third term as British prime minister. At the movies there was Batman Begins, Star Wars Episode III and V for Vendetta. James Blunt topped the UK album charts, with Mariah Carey having the best-selling US album in that year. In the mobile phone industry Nokia, Motorola and Sony Ericsson seemed to be doing much of the work in moving things forward, especially in the 3G area. 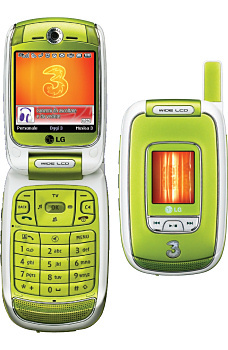 Many of the players from 2005 are no longer in the mobile phone business in Europe. 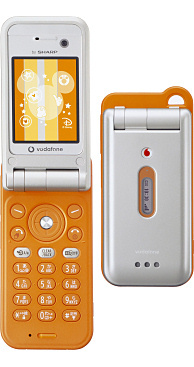 The two star devices from Sony Ericsson were the Sony Ericsson K750 "Cybershot" phone and the Sony Ericsson W800 "Walkman" phone. 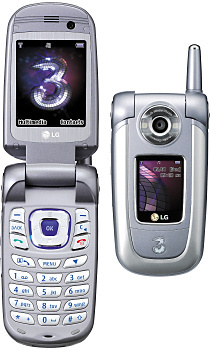 Although the K750 and W800 were basically the same phone underneath, they both broke new ground for the quality of their digital photography and music playing capabilities respectively. 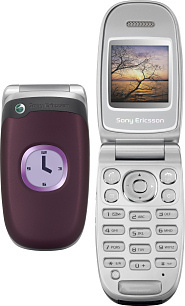 One significant failure for Sony Ericsson was the lack of success of the Sony Ericsson P990. This capable UIQ-based smartphone combined a touchscreen with 3G and WiFi support, but it was very late to market and very buggy when it arrived, which severely dented its chances. Also in the Sony Ericsson lineup was the W900 3G Walkman phone, the elegant K600 3G device and the attractive Z300 clamshell. Nokia had been in the doldrums just a few years previously, but by 2005 it was beginning to consolidate its market position. 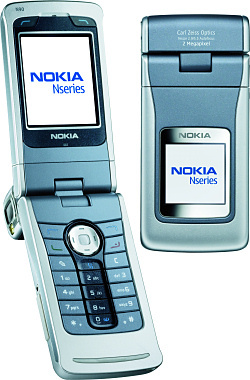 This year saw the launch of the Nokia N-Series and E-Series of phones, with the Nokia N70 being the best-known example. 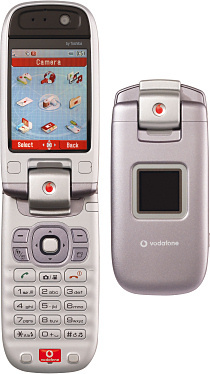 The N70 was an attractive 3G device, but it was let down by an unusually small keypad. Believe it or not, back in 2005 it was thought that putting a hard disk in a phone was a good idea, which gave birth to the unattractive but interesting Nokia N91. Nokia took a crack at the BlackBerry market with the Nokia E61 smartphone, which picked up a small but loyal user base.. however it hardly dented BlackBerry's then rapid rise to prominence. 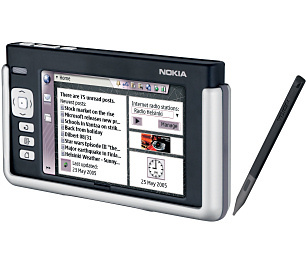 The Nokia N90 was launched at the same time and was a rare 3G clamshell phone from the Finns. Digital TV tuners made an appearance too with the Nokia N92, which these days is one of the most difficult Nokia devices for collectors to find. A significant but overlooked device was the Nokia 770 Internet Tablet featuring a 4.1" WVGA display, WiFi and Bluetooth connectivity but no GSM or 3G connectivity. Arguably the world's first tablet, the 770 and its descendants never quite made the breakthrough that they needed. An alternative way to get a big screen smart device was the Nokia 9300i, a reworked version of 2004's Nokia 9300 but now with WiFi support built in. Some devices were just designed to look pretty. Nokia refreshed its fashion phone lineup with the attractive Nokia 7360 monoblock, Nokia 7370 rotator and very unusual Nokia 7380 pen phone. The 7380 is a rare device today, and is fiendishly difficult to use. 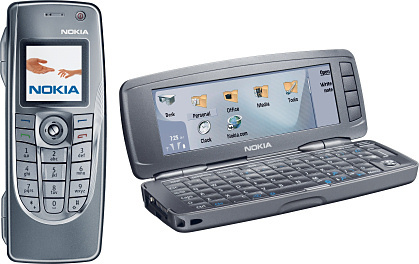 Aimed more at businesses than consumers, the Nokia 6230i was a very popular successor to the classic 6310i and stayed in use for many years. Nokia had another stab at the butterfly-wing Nokia 6822 messaging phone, but this form factor never proved to be a success. 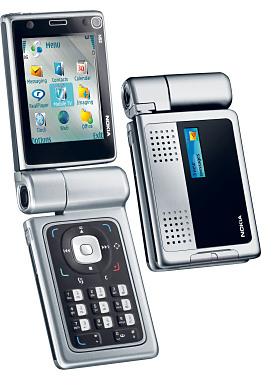 Rather higher up in the range, the esoteric and very expensive Nokia 8800 slider offered an option for executives. Much more mainstream were the ultra-cheap Nokia 1110 and Nokia 1600 phones, the twisting Nokia 3250 and the cute Nokia 6111 slider. Motorola never quite managed to follow up the success of the original RAZR, and some of their 2005 product releases didn't do very well in the market. The Motorola RAZR V3i was a much-needed update to the original RAZR which addressed many of the flaws with the first generation device. 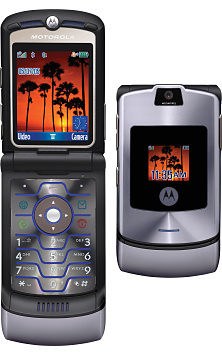 Motorola also tried to push the RAZR into 3G territory with the Motorola RAZR V3x. Attempting to bring RAZR-style design to a monoblock phone, the Motorola SLVR L7 made some impressive inroads into Nokia's traditional market. 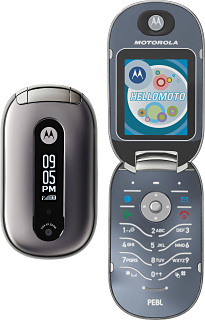 The Motorola PEBL U6 was an elegantly smooth clamshell phone that never quite had the success of the RAZR. The Motorola ROKR E1 is a notable disaster - this joint Apple / Motorola development was crippled at launch and customers stayed away in droves. 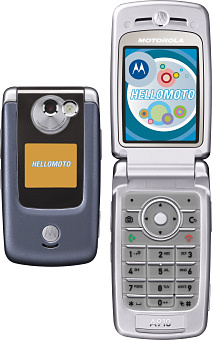 Motorola were also pioneering in the smartphone area with the Linux-based Motorola A910 clamshell and Motorola E680i touchscreen phones. 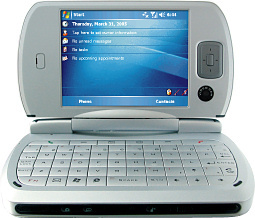 The Motorola MOTO Q was the first of a long line of Windows-based messaging devices. 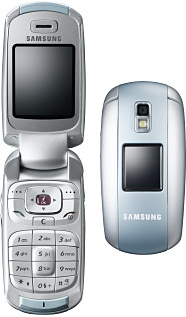 Back in 2005 Samsung were still a relatively minor player in the market, concentrating on little clamshell phones and a handful of other devices. 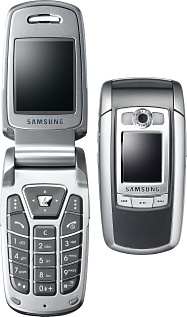 The Samsung E720 was one of the smallest and most popular phones of its generation, quickly followed by a 3G variant, the Samsung Z500. Also released was the very attractive Samsung E530, a device that we still regard as one of the best looking phones of the past decade. 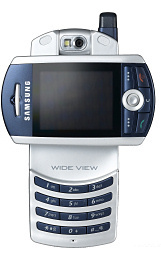 Sliders were becoming more popular, and the Samsung D600 was a strong seller. The Samsung P300 "calculator phone" was an unusual and very tiny device, and is strongly sought after by collectors today. 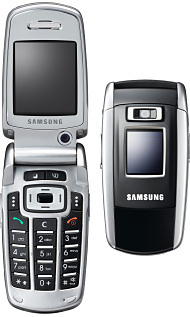 The Samsung Z130 was a very unusual 3G phone with a swivelling display, but that idea never caught on. 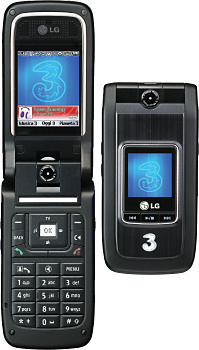 LG were one of the early pioneers of 3G phones with the LG U8380, LG U8550 and LGU880 clamshell phones. Despite the whizzy state-of-the-art 3G technology, these were all pretty basic and only really sold in the numbers that they did because 3 (the main 3G carrier of the time) offered very cheap call plans. The BlackBerry 7100 was an early attempt to squeeze full BlackBerry functionality into the form factor of a normal phone, but ultimately this form factor was not successful. 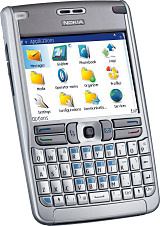 However, the BlackBerry 8700 struck a chord with businesses and consumers alike and sold very strongly. In 2005 HTC was still strictly a contract manufacturer, building handsets that would be sold under a variety of names but not their own. One stand-out device though was the HTC Universal which offered 3G, WiFi and a VGA resolution touchscreen. But most Windows phones from 2005 would be unrecognisable today, with the HTC-built Orange SPV C550 running Windows in a standard "candy bar" form factor. Siemens was still a big player in the mobile phone market, but it was haemorrhaging money at an alarming rate. Siemens effectively disposed of their mobile division to BenQ which created the short-lived BenQ-Siemens brand which folded in 2006. 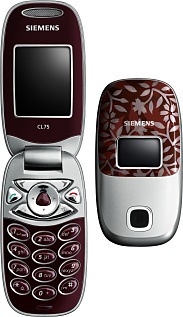 These then were some of the last Siemens handsets to market: the Siemens C75 was an attractive business phone aimed squarely at Nokia, the Siemens M75 was a tough-as-nails ruggedised handset that was one of only a very small number on the market. 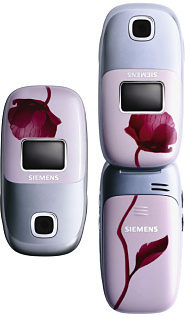 The Siemens CL75 and CL75 Poppy were hugely successful "girlie" phones and were the last major success for this manufacturer. 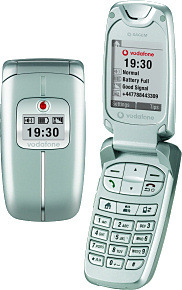 Another relatively big player were Sagem, who produced budget handsets. 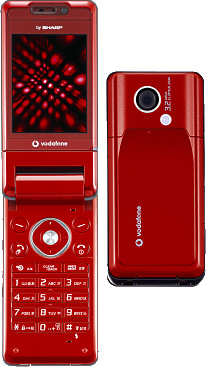 During 2005, Sagem partnered with Vodafone to come up with a range of "easy use" phones, initially the Sagem VS1 and VS2 candy bar phones followed by the attractive Sagem VS3 clamshell phone. 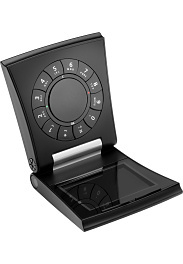 One of the oddest phones ever made, the Bang and Olufsen Serene was a sort of upside-down clamshell with a rotary dial, made for B&O by Samsung. These are rare and desirable devices today, costing in excess of €200. 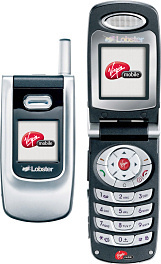 The Lobster 485 sounded odd but was just an attempt to bring a Virgin Mobile branded device to UK customers, and the Lobster brand was moderately successful for a couple of years. Japanese manufacturers were trying very hard to break into the European market. The Sharp 903 was a high-spec and very Japanese 3G clamshell phone, a little bit more down market was the Sharp 703, another 3G clamshell. The Toshiba TS921 was yet another 3G clamshell with a very similar specification to the Sharp. 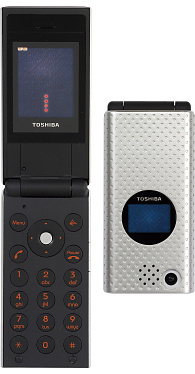 A rather striking but very basic 2G phone was the Toshiba TS10. 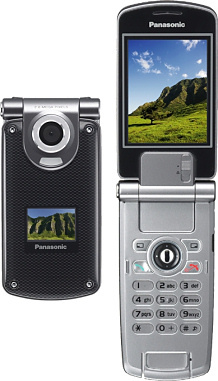 Panasonic was in its death throes and pulled out of the market at the end of 2005. 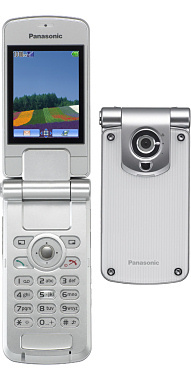 The attractive Panasonic VS3 and VS7 phones looked great but came with woefully inadequate specifications. 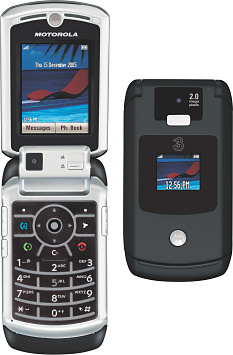 Sanyo also had a second (at last) attempt to crack European markets with the Sanyo S750i 3G slider phone. Many of these manufacturers are no longer with us, or in the case of the Japanese firms they have largely retreated back to their own shores. Most smartphones were running Symbian or Windows as Apple's iOS and Google's Android were still some years away. But within a couple of years the market started to change significantly.